“That’s really stupid of them”, is still a perfectly acceptable thing to say in modern society. However, insert virtually any other group descriptive in that sentence instead of stupid and you will be driven out of the village with pitchforks and torches. Try it: white, black, Arab, Jew, gay, short, fat, male, female … ad nauseam, and you will be castigated. But stupid will get you lauded with knowing arrogant smirks of agreement. Is stupidity a choice or are stupid people born that way? I don’t know for sure, but I would opine that no-one consciously says one day, “I will choose to be stupid.” Whether genetic, epigenetic, congenital or of other origin, it is probably out of their control. So why do we attack them so mercilessly? Forrest Gump was a movie which had the potential of mainstreaming stupidity. 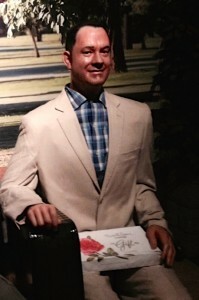 The character played by Tom Hanks was lovable and good hearted. Alas, these are traits not shared by most people, stupid nor smart. But, contrary to my predictions, stupidity has remained the whipping boy of the elite. …stupidity has remained the whipping boy of the elite. Sophie’s Choice was another breakthrough movie for the downtrodden. If Meryl Streep had performed her portrayal of a brilliant Polish emigré just post WWII instead of 1982, the acronym DP (displaced person) might have have come to represent Diva Polonia (Polish goddess) instead of Dumb Polack. In other areas of society, the disturbing trend has evolved which allows for the excusing of bad behavior if a reason can be given. The best reason being, “I was born that way,” or other causes believed to out of the person’s control. Explanations have long been sought for the whole gamut of flaws from anti-social behavior to self-destructive behavior. But never before has the conflation of explanation with justification occurred. Julius Caesar’s centurions probably would not have been swayed if the reason you fell asleep on guard duty was because your sleep apnea made you tired. Nowadays sleepy soldiers could probably sue their superior for not accommodating it. As an excuse, some version of “the devil made me do it.” has been around a long time, but only in the last 20 years or so have people actually been gullible enough to accept it. Should stupidity be a protected class under the law or should you be able to discriminate against stupid people? Not protected, you should be able to pay someone more for being smart. Protected in some cases, it is not fair to penalize someone for being stupid. Should be protected in all cases, it is no different under the law than race, gender or religion. Naiveté is often unfairly mistaken for stupidity. Playing stupid is the stupidest of all.